This was not where I was born, or where I live now. Here is where I grew from a child to a woman. Where I honed my skills as a hunter and befriended my first beast. 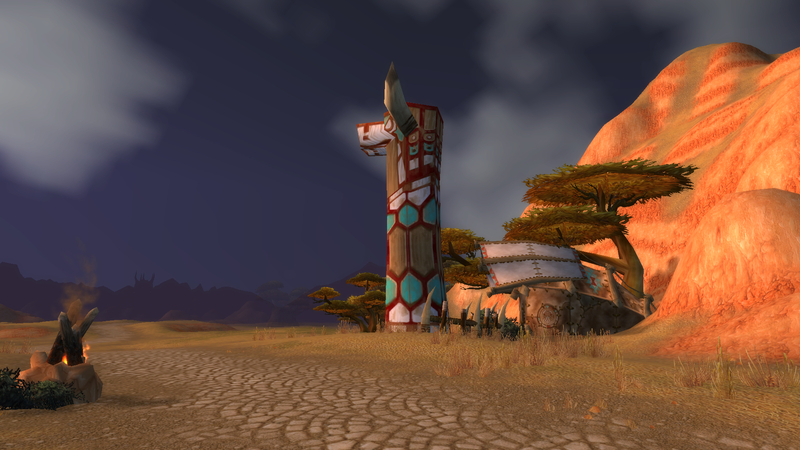 Where I learnt what it meant to be a warrior for my tribe, a protector. I have splashed around with my younger sister on a hot day, wearing no more than leather breech clothes and chest bands. I have rough-housed with other hunter’s beasts, my fur becoming as dun-coloured as the earth beneath us. I have napped in the shade of a thorntree, my father snoring softly with my mother curled up at his side. I have spilled blood here, that of my own, my enemies, and my kills. This land has seen my joy, my sorrow, my fury, my excitement. This is the land I hold close to my heart. It enraptures me, ensnares me, refuses to let me truly go. Wherever I may wander, here is where I always find myself. I can feel its rhythm from hoof to horn tip, creeping through my blood. The center of the Earth Mother is in this place for me. 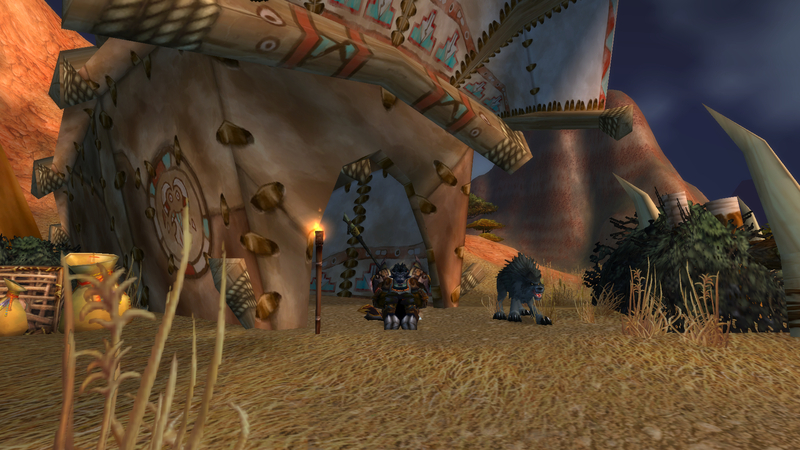 Now the ground shakes with violence, rousing me from my rest in Thunder Bluff. I cannot explain to my parents why I must go, nor can I to my son Tuyok. I trust that they understand nonetheless. But for all my sharp eyes and sensitive ears, I cannot find the source, only the effects. Comments closed — Trackbacks closed RSS 2.0 feed for these comments This entry (permalink) was posted on Tuesday, November 23, 2010, at 3:12 pm by Faeldray. Filed in Cataclysm, Expansions/Patches, Roleplaying and tagged Niqora. Very stirring…makes me feel nostalgic, and I haven’t even left my home yet. Poor thing probably has lots of time to reminiscence and think now, and the world going to pieces around her won’t help, heh.